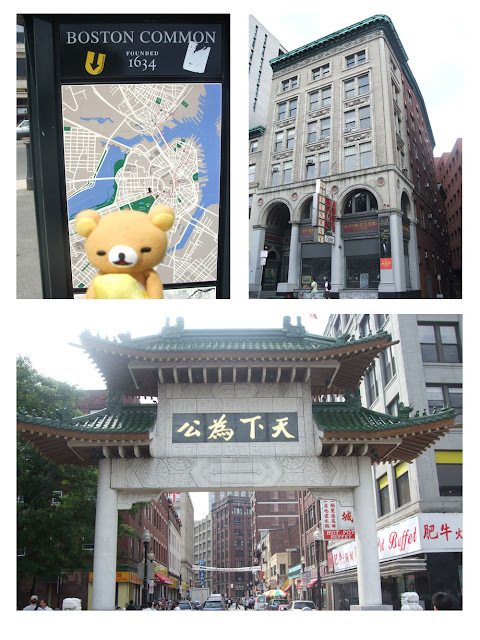 Rilakkuma Shop's first visit to Boston - showcasing little mini Rilakkuma photographs taken in Boston! 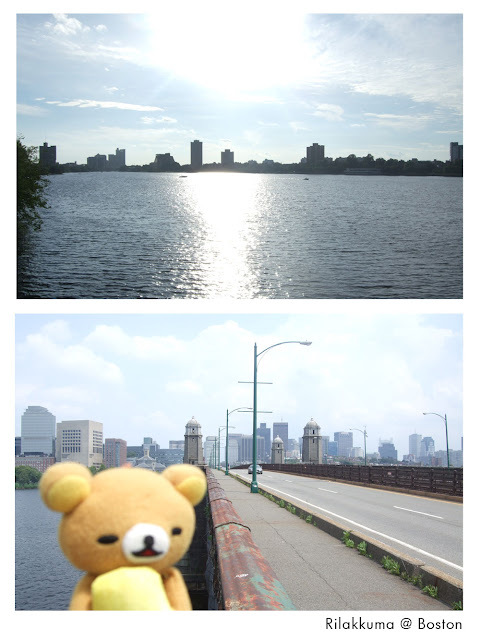 Rilakkuma flew from Singapore to Boston, approximately 18hours of flight time! The photos are kinda random! 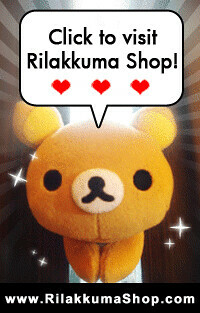 Anything that interest us - we take a photo with Rilakkuma in it. 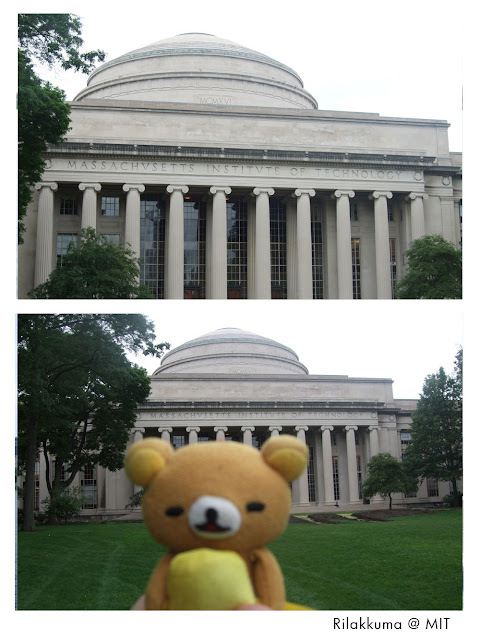 "Rilakkuma .... going to study in MIT?" Massachvsetts Insititue of Technology (MIT) is very famous in worldwide - very nice architecture as well. You also can spot carefree squirrels hopping around the outskirts of the University compound. 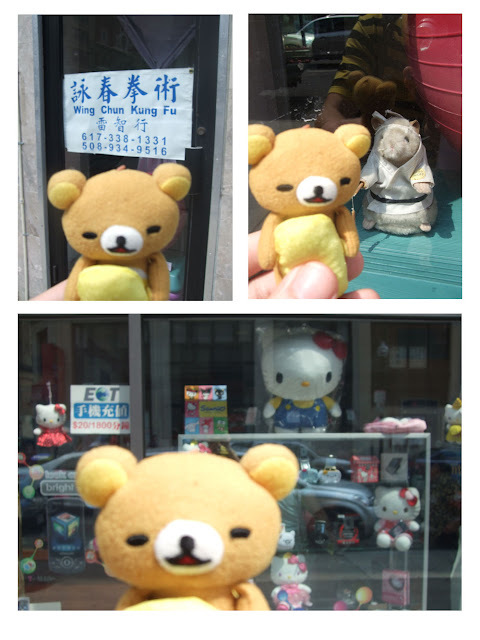 "Rilakkuma taking photo with Hello Kitty!" Anyone watched Ip Man before? We found Wing Chun Kung fu in the Chinatown of Boston! Maybe you can learn some kung fu too! 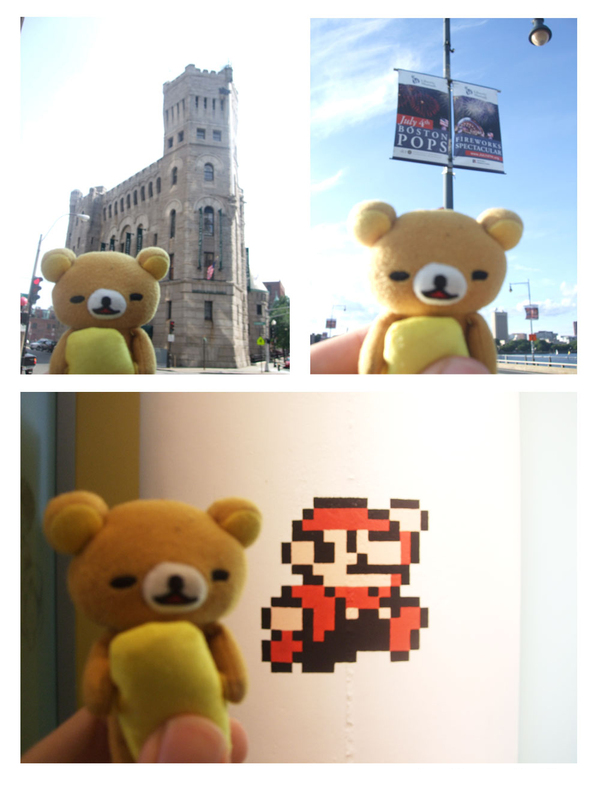 "Rilakkuma taking photo with Super Mario!" "Rilakkuma taking photo with Super Nice Lobster!" Really cheap lobsters for like USD 11.00 for one full lobster. =D Awesome! "Rilakkuma looking cool in front of the fence." Other than the suffering of Jet lag, Boston is a fun and great place to be in!